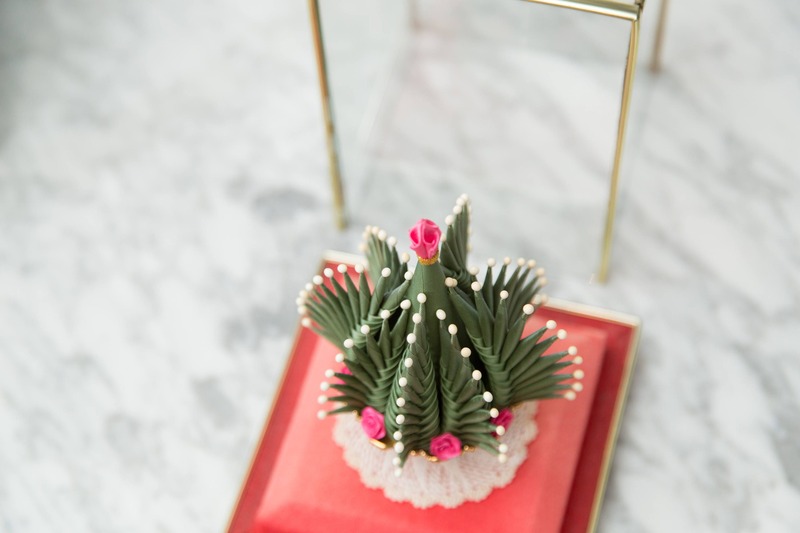 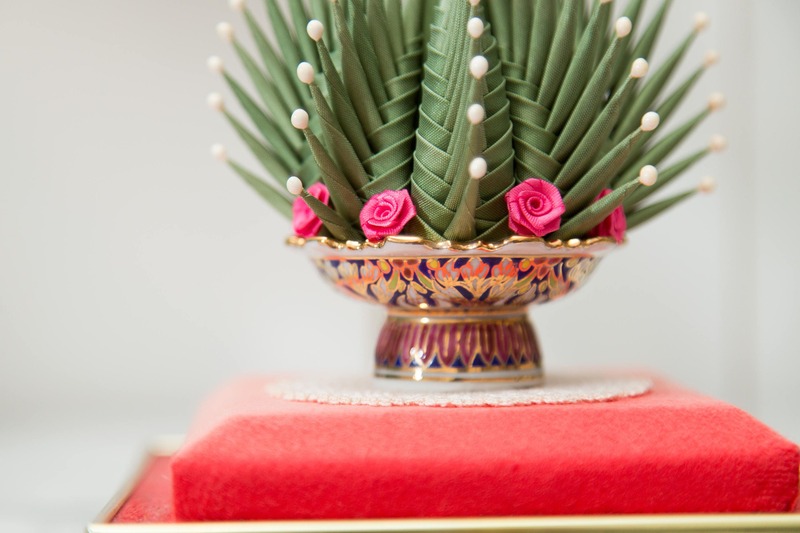 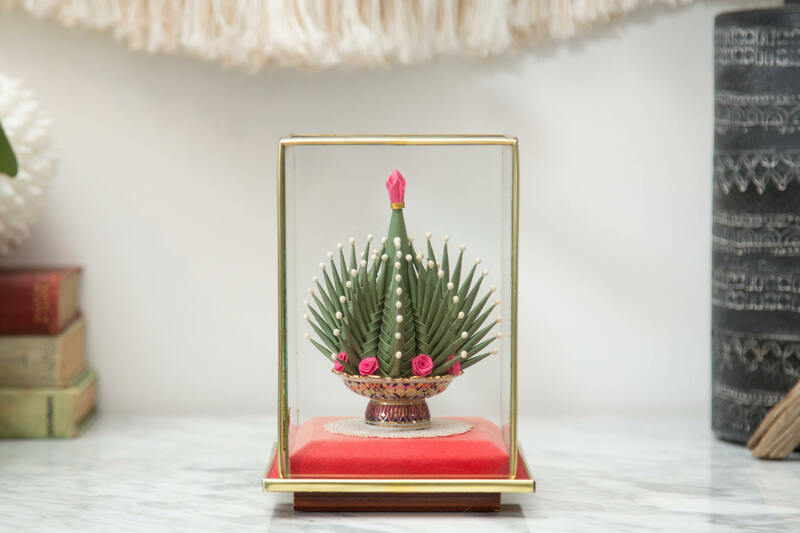 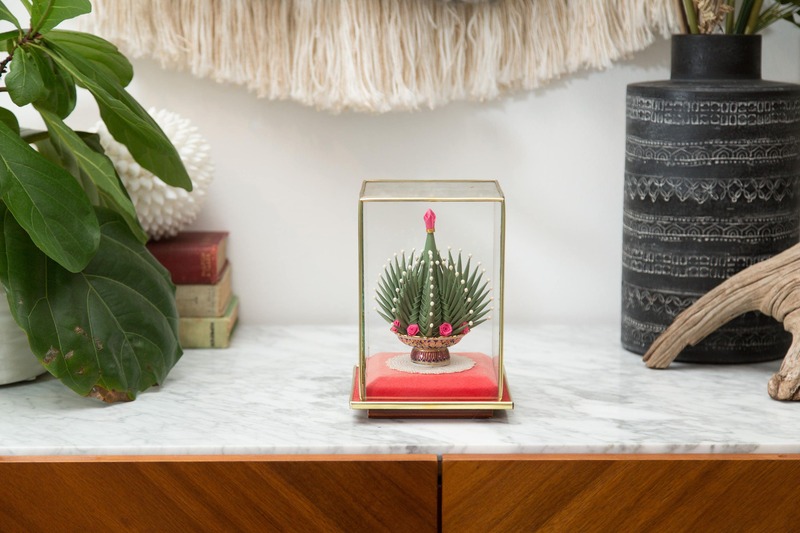 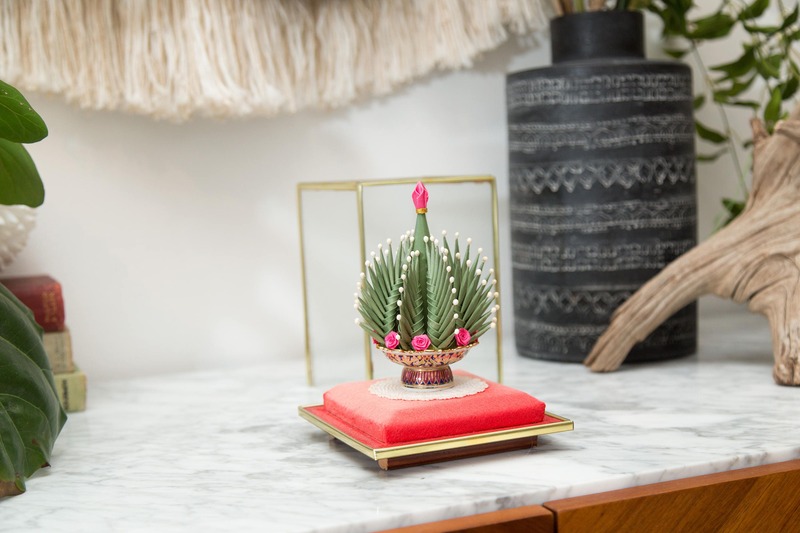 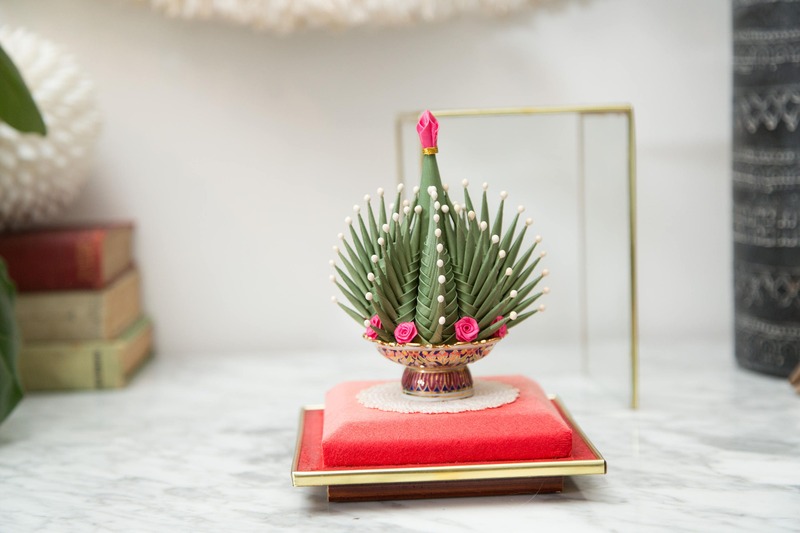 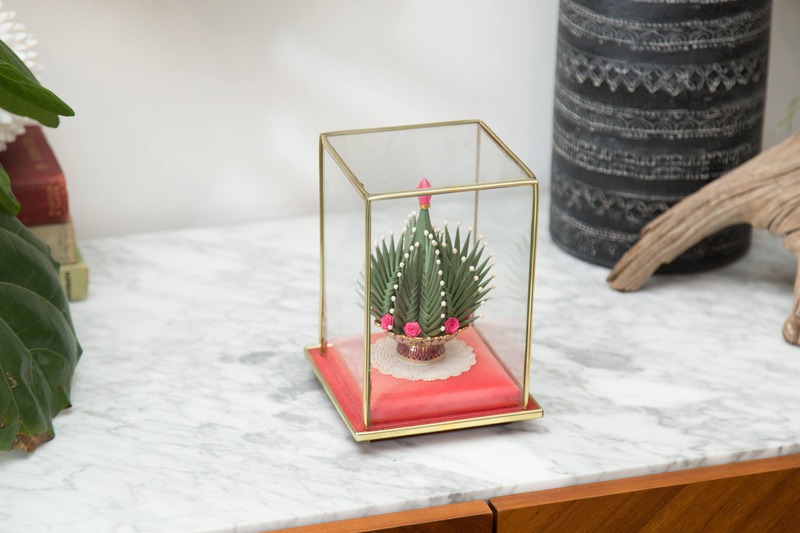 This is a beautiful vintage handmade cactus art in a glass box. 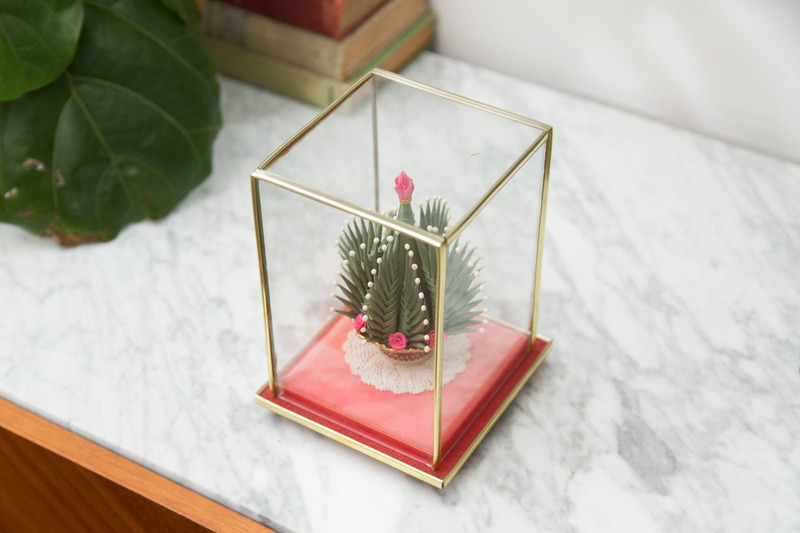 It is made with a thick paper, like a vinyl type fabric. 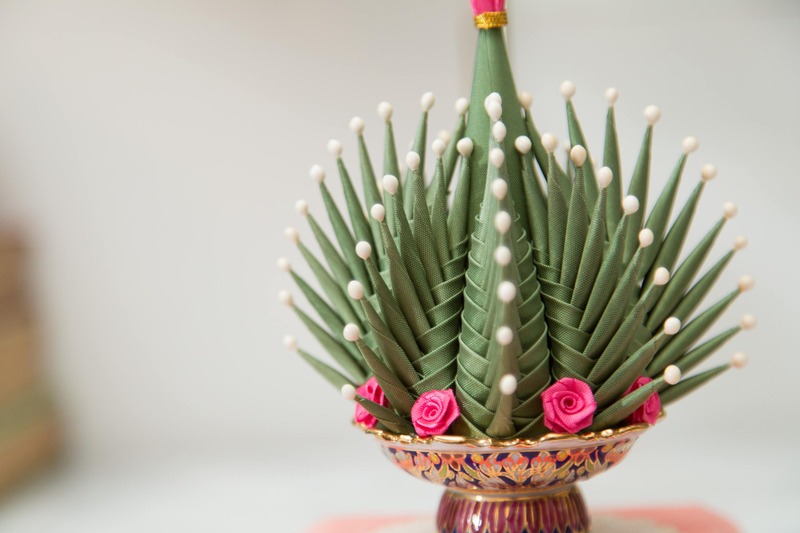 It is intricately woven and beautifully decorated. 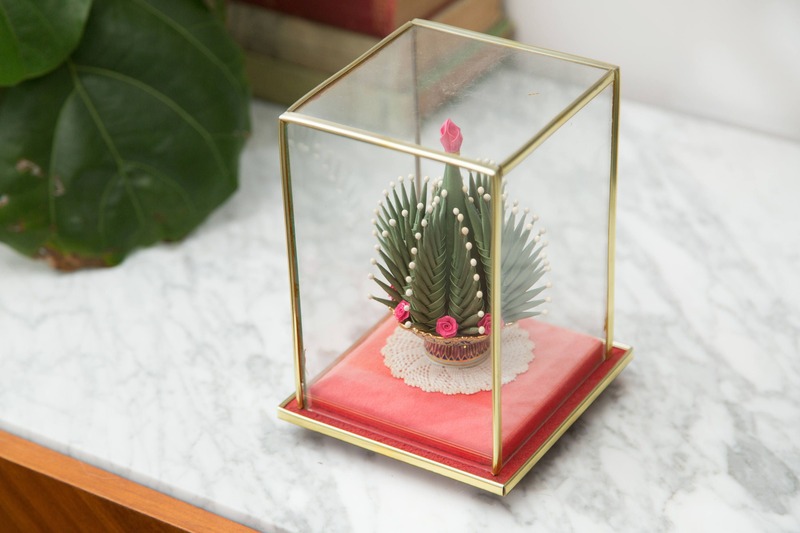 Length and width: 5 inches.